At a regular meeting of the Board of Commissioners of the Caddo Levee District held at 10:00 a.m., July 12, 2018, at 1320 Grimmett Drive, Shreveport, Louisiana, the following members were present: James T. Sims, Patrick Harrison, Carolyn C. Prator, Gary Procell, and Willie Walker. Kandi Moore and Helen Godfrey Smith were not present. John Barr, U.S. Senator John Kennedy’s Office; Ronald F. Lattier, Law Offices of Ronald F. Lattier; Marshall Jones, Jones & Odom LLP; Robert Tomasek, LA Department of Transportation and Development; Emily Jones, LA Department of Transportation and Development; Sam Brimer, Forester; Ali M. Mustapha, Administrator; and Danielle Stafford, Assistant Secretary, were also present. The meeting was opened with a prayer and the Pledge of Allegiance. President Sims asked for any comments from the public regarding agenda items or other issues. There were no further public comments. Mr. Sims stated that the minutes from the June 2018 meeting had been emailed for review and asked for a motion to approve. Mr. Harrison made a motion, with a second by Mr. Procell, to approve the minutes from the June 2018 meeting. The motion unanimously passed. Mr. Harrison discussed the monthly financial reports, reporting that income and expenses for the month of June were in line with the monthly average and expenses for the fiscal year were under budget. The Board reviewed payments and invoices for the month of June 2018 and subsequent bills for the month of May 2018. Mr. Harrison made a motion, with a second by Mr. Procell, to ratify payment of the invoices for the month of June 2018 and subsequent bills for the month of May 2018. The motion unanimously passed. The Board discussed the insurance proposal submitted by Doles Insurance Agency (A Parnell-Robinson Insurance, Inc. Affiliate) for the upcoming 2018 – 2019 fiscal year. Mr. Procell made a motion to approve, with a second by Mr. Harrison, to approve the insurance proposal for 2018 – 2019. The motion unanimously passed. The Board unanimously approved the transfer of surface lease from Linda Thomas to Bradley D. Dumas for one acre on Black Bayou known as Lot #137 in Section 9, T22N, R15W, Caddo Parish, Louisiana with a motion by Mr. Harrison and a second by Mr. Procell. Marshall Jones reported that the agreement to grant a surface (well drill site) and right of passage easement (servitude) to Walnut Bayou Exploration, LLC has been completed and is ready for execution by the Board. President Sims had no report. Mr. Mustapha reported that the U.S. Army Corps of Engineers has released their new National Levee Database (NLD), which is a congressionally authorized database that documents levees in the United States, on their website. 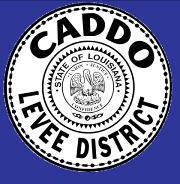 The NLD contains information about the conditions and risk assessment of Caddo Levee District’s levees. Mr. Mustapha also reported that funding was not approved for the Periodic Inspections (a Special Risk Assessment Inspection conducted every five years) in 2018, so only routine inspections of Red River North, Red River South, and West Agurs Levees will be performed. Mr. Mustapha reported that two long-time employees of the Levee District will be retiring in the coming months. He stated that new employees will be hired to fill their positions. Mr. Mustapha also reported that the contractors have started work on the two (2) Capital Outlay projects (the 2018 Levee Gravel Surfacing and the Red River Levee South Maintenance). Mr. Mustapha provided a written report that detailed the status and progress of all other ongoing Capital Outlay projects. He also provided a written report on the status of all open permits. Ronald Lattier, Board Legal Counsel, had no report. Sam Brimer, Forester, had no report. There was no Engineer’s Report. There was no Personnel Committee Report. There was no Legal Committee Report. Marshall Jones reported on the proposed Federal legislation to establish a 900-square-mile area in northwest Louisiana and east Texas known as the Caddo Lake National Heritage Area and how it may affect the Levee District as a major landowner in North Caddo Parish, Louisiana. He stated that he will continue to follow this legislation and keep the Board updated on any issues that may affect the District. With no further business to be brought before the Board, the meeting was adjourned.